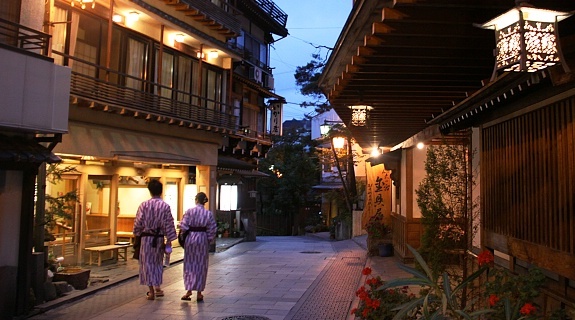 The best way to complement days of exploring busy streets of Japan is an overnight stay at an onsen ryokan. Soak in a tub of bubbling hot water and enjoy views of the landscapes! There are numerous natural hot springs (温泉, onsen) across Japan. They are highly popular and therefore come in many varieties. Indoors and outdoors (called rotemburo), gender separated and mixed, and also many types distinguished by the minerals dissolved in the water. They are perfect relaxation for both body and mind and they provide many health benefits from minerals in them. The ultimate hot spring experience is spending a night at an onsen ryokan. 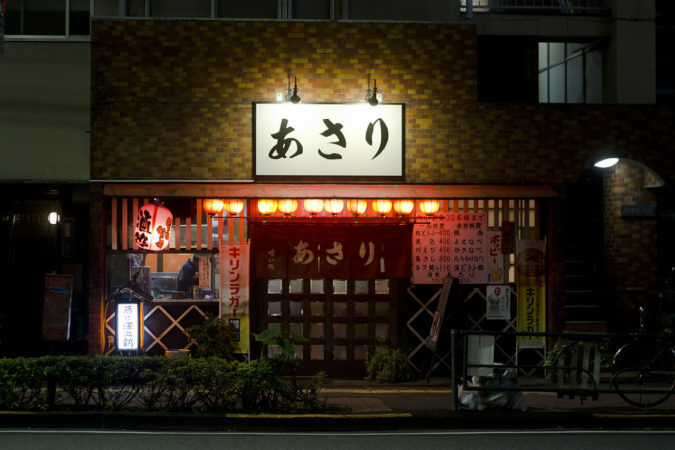 Ryokan (旅館), a Japanese style inn is found typically in scenic areas in the mountains or by the sea. Especially in hot springs (onsen) resorts. 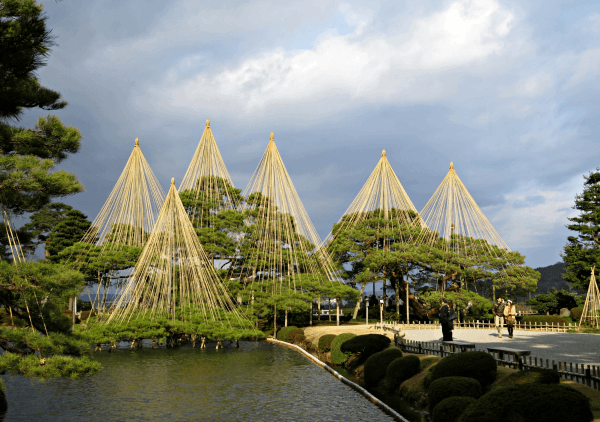 Ryokans are an opportunity to experience the traditional Japanese lifestyle. Their hospitality, understated elegance and meticulous service will leave you breathless. 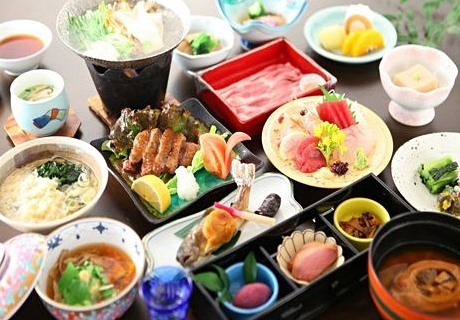 A beautifully arranged traditional Japanese multi-course haute cuisine will be welcoming you; served either in your tatami room or in a dining hall. There are many different kinds of ryokan, varying greatly in terms of size, cost, and style, from small family-owned to hotel-like facilities. A typical onsen ryokan visit starts with a bath before dinner. Many guests like to take another bath before sleeping and before breakfast in the next morning. 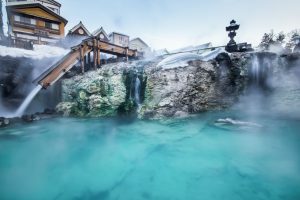 You should have in mind that hot springs in Japan are enjoyed naked, even though there are a few exceptions. A majority of baths are gender separated, mostly in the remote areas are mixed. 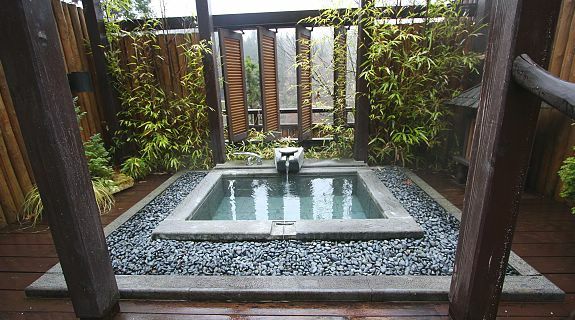 If you want to try it out, there is just one spectacular outdoor bath. 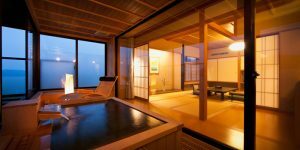 If you do not feel comfortable naked in front of other people, you should inquire about “kashikiri” (private) baths or “kazokuburo” (family) baths which are available at some ryokan. Mainly high-end places, also have private hot springs. 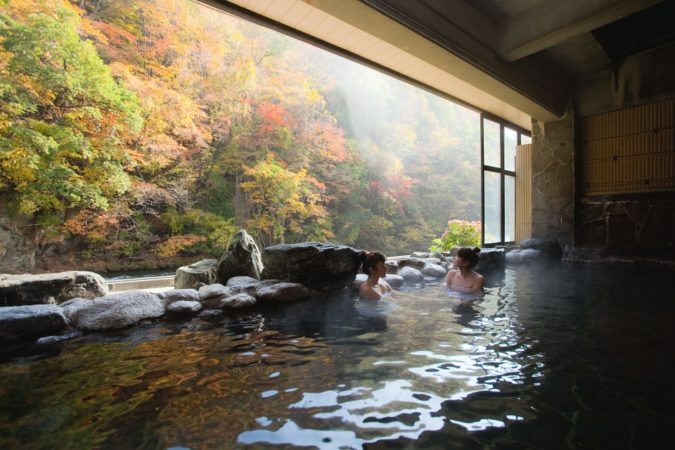 At onsen ryokan resorts, you can also enjoy many other activities. The walk through the gardens will complete your relaxation experience at onsen ryokan. 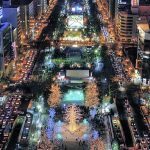 But there are also restaurants, bars, karaoke rooms, game rooms, shows and shops on their premises that operate at night. 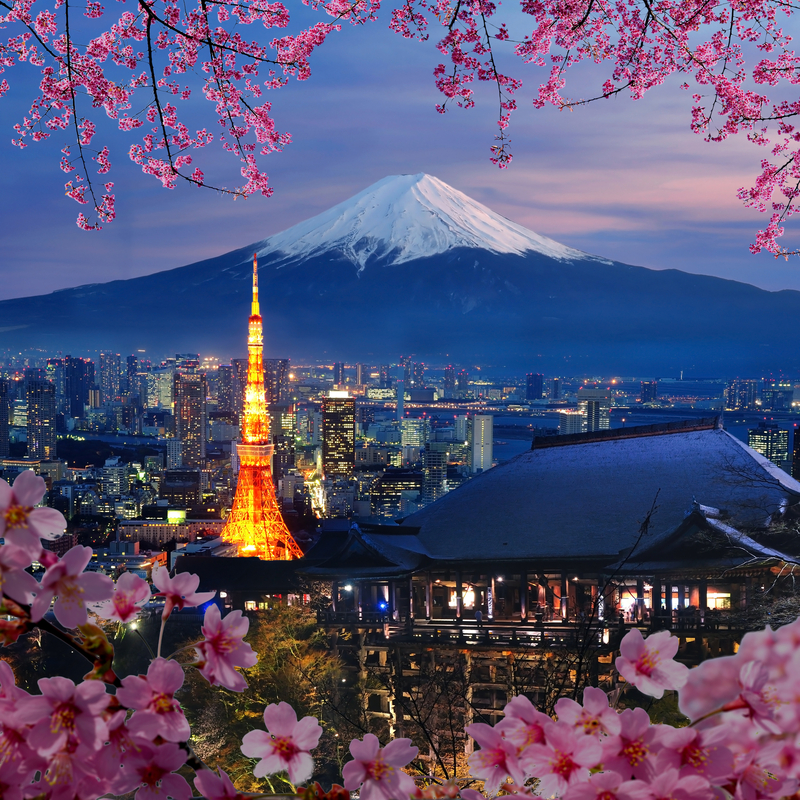 If you don’t have time, you do not need to stay overnight at a ryokan in order to enjoy its baths. 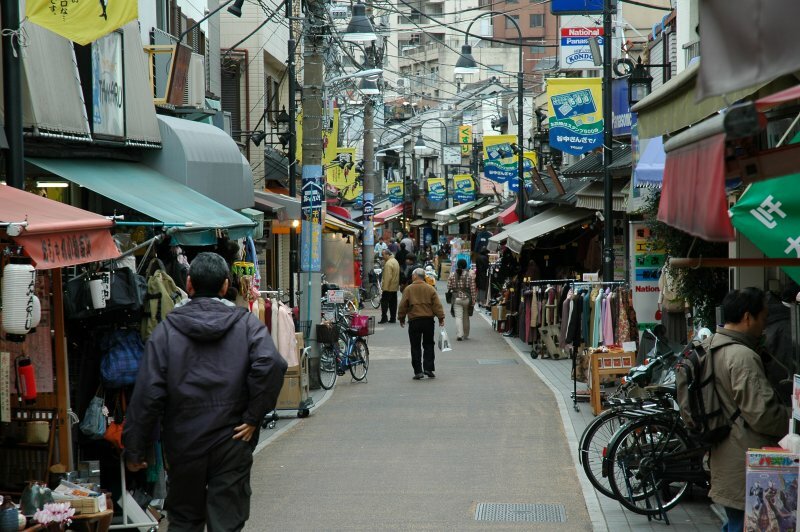 Many ryokans open their baths to the general public. When the cold sets in, what is better to do than to slip into a relaxing hot spring and enjoy spectacular views?